Over the past several months, especially the first half of 2017, Bitcoins performance was stunning. But now things are not the same as they were. Many cyptocurrency investors are extremely worried over Bitcoins extreme volatility that is causing a lot of genuine concerns. However, the main cause of concern, according to one digital currency expert is a lack of Bitcoin liquidity. Will Bitcoin Stay Afloat Despite Wild Reputation? “If we are witnessing high rates of volatility today, it is because there is no Bitcoin exchange in the world as of today. Ys, it is because there is lack of liquidity,” said Cedric Jeanson, BitSpread CEO. Bitcoins recent fierce criticism has come from big names in the industry that claim that the digital currency cannot be trusted as one of the main ways of storing wealth. In fact, critics say that there is absolutely no way one can equate Bitcoin with gold thus the way to store ones wealth. 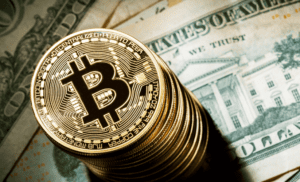 Among those that have shown outright disposition on the Bitcoin are Ray Dalio, the founder of Bridgewater Associates and Jamie Dimon of the JPMorgan. CoinDesk, a website that entirely focuses on the performance of the Bitcoin says that the current standings of the Bitcoin show a decrease of more than 40%, something is a cause of concern to those that are interested in digital currency investment. Currently, Bitcoin is trading at $3, 883. This is a big decline from what it was at the beginning of September when it traded at $4, 991 the highest known value of a Bitcoin. However, Jeanson has come up with a solution that will help solve Bitcoins high volatility. He said that the only way to help the Bitcoin is to have more companies like BitSpread. “The primary thing as of now is to help salvage the problem facing the Bitcoin and the only sure way is to have as many market makers as possible. That way, it is possible to improve the problem of liquidity,” said Jeanson. He also added, “We also need to come with more tough rules that are aimed at governing how the Bitcoin should be transacted. Such rules as anti-money laundering as well as know who your client is will really help solve the current liquidity menace.” Because of lack of liquidity, the Bitcoin has suffered the problem of lack of the right people to invest. According to one report that was published in May 2017, it revealed that 4 out of 10, 000 mutual funds in the United States of America held Bitcoins in their different portfolios. The main reason for this aversion was lack of liquidity. In recent months, during a time the value of the Bitcoin was greatly increasing day-by-day, countries like Japan and China started to embrace the use of the Bitcoin as one of their major online exchanges. In fact, Japan went ahead to allow the use of its Yen for the purchase of the Bitcoin. But now that the problem of liquidity is here, experts are asking for even tougher regulations that will help improve how this digital currency will be handled. See Practical Ways To Help Bitcoin Stay Afloat Despite Wild Reputation. Learn The Bitcoin Price Predictions For 2017-2018. Find US Bitcoin Casinos.